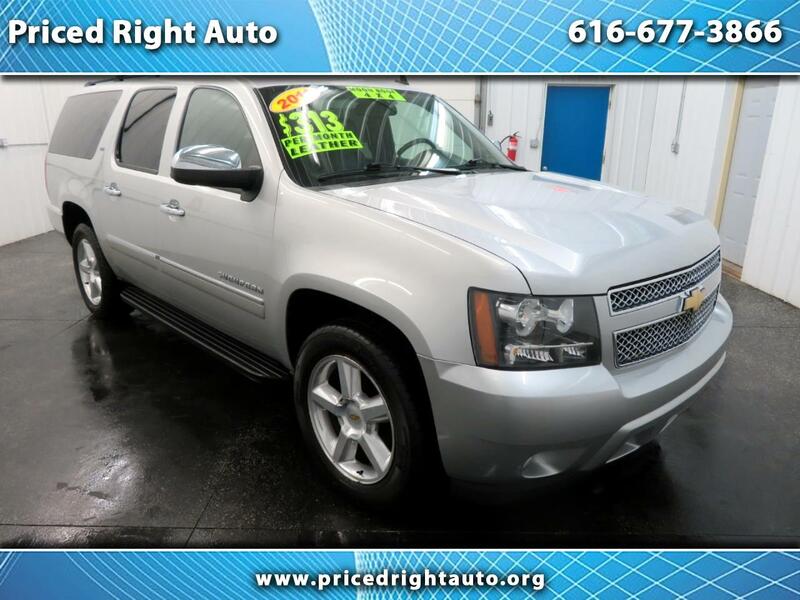 ** ONE OWNER**, ** ACCIDENT FREE CARFAX**, ** NEW REAR BRAKES, ** NEW FRONT BRAKES **, **EXTENDED WARRANTY AVAILABLE**, ** WELL MAINTAINED **, **4WD**, ** 3RD ROW SEATING **, ** DVD PLAYER **, ** LEATHER **, ** REAR VIEW CAMERA**, ** HEATED SEATS **, ** POWER LIFT GATE **, 4WD, ebony Leather. Odometer is 39657 miles below market average! Why Choose Priced Right Auto's? When You Love the Car but Don't Have the Cash? ** Cash or Finance ** We offer full spectrum financing with rates as low as 3.99%! *ASE Certified Technicians and Convenient Service Hours! *Every Vehicle Get's Full Safety Inspection. Vehicles 2008 & newer, with under 150k miles come with a 3 Month 3,000 Mile Warranty! Fill Out Your Credit Application and Get Approved Today! Visit us at www.PRICEDRIGHTAUTO.org or us today at 616-677-3866 to Confirm Vehicle Availability and Pricing. Thank you and come enjoy the Priced Right Auto difference!